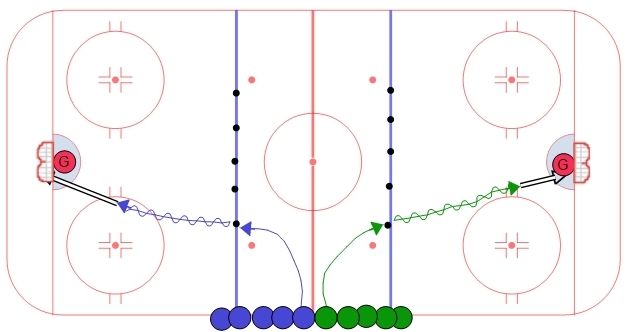 This is a full ice flow drill good for teams that are able to string together 3 consecutive passes without any trouble. 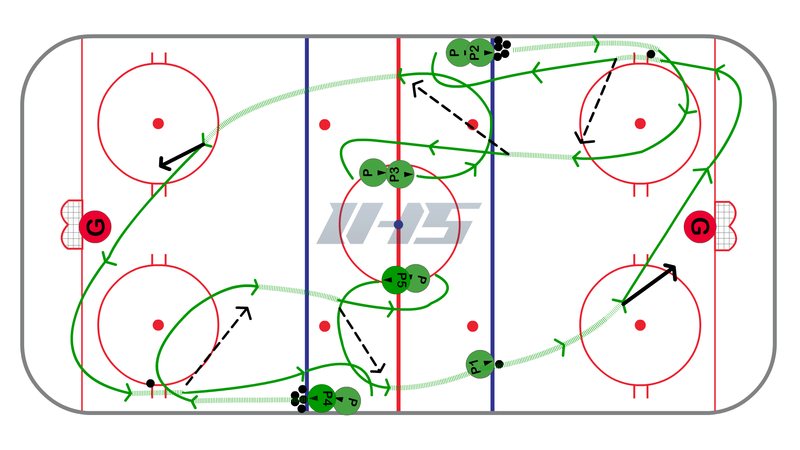 For the most part this drill can be used for higher level bantam teams and all midget levels. 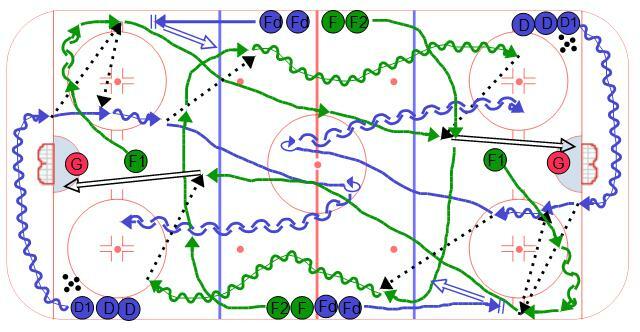 The animation show this drill be used from one side only but once your players get used to the timing then you can run this out of both ends at the same time which gets 6 players involved at one time. 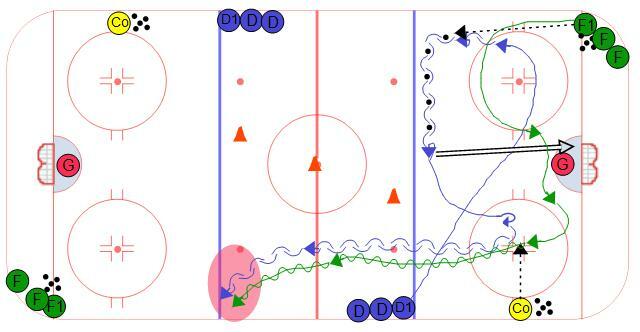 To start the drill have a player (P1) start at the blue line with a puck. On the whistle they go in and take a shot on net. After the shot they will go to the far corner and turn up ice. P2 will carry a puck down the wall and leave a puck for P1. P2 will turn towards the inside, face the puck, and receive a pass back from P1. P1 they goes to the end of the line where P2 started. As P2 starts to face up ice then P3 will swing towards the outside of the ice , face P2, and receive the pass from P2. P3 then goes down and takes a sho on net and continues into the corner. P3 now becomes P1 and goes to the corner before turning up ice to get a puck left by P2.